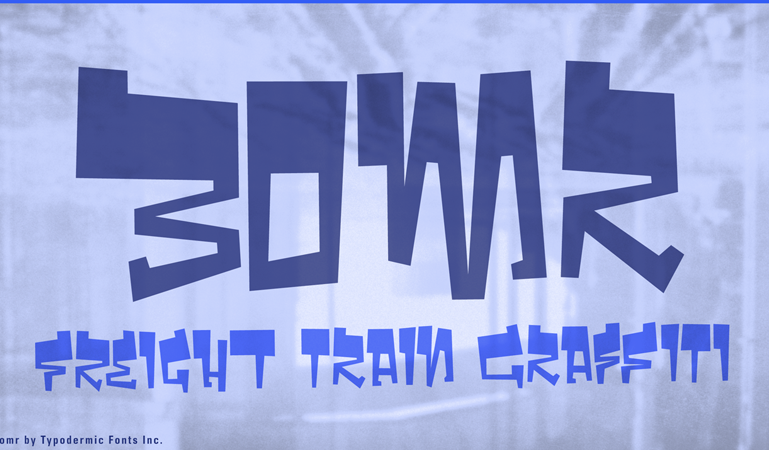 Bomr was inspired by freight train graffiti. Huge top left serifs on the capitals give Bomr extra flare. Mix it up with capitals in the middle of a word or go totally nuts and mix upper and lower case for added impact. In OpenType savvy applications, some letter combinations are automatically replaced with custom letter/numeral pairs for an interesting effect.